​In the early seventies I studied kitchen-sink guerrilla style instrument repair from a couple of border hopping American boys. The first day they had me open up a thrift shop violin with a steam kettle and a hunting knife. That was the prelude to patching a crack and doing a glorious orange varnish refinish. An Espagne steel string got similar treatment. Their technique was rough, but effective. I took the next three decades off to study & work in film, and to raise a family. Around 2004 I picked up tools again. My electric guitars, built in a single-car garage shop, have sold to guitar teachers and TV stars. 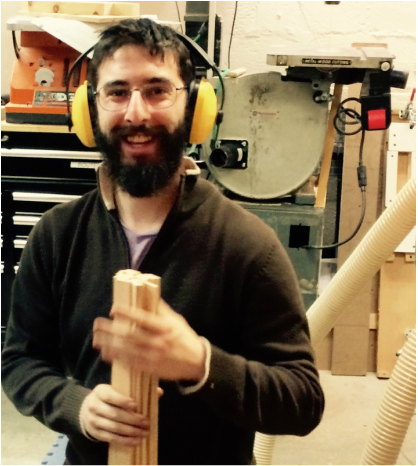 Although those American lads taught me well, I have more recently studied instrument building at OCAD and with some of the finest builders in Toronto, Chicago and Portland. I also learned hand tool techniques in Spain. This love of hands-on building and hands –on learning transformed into a dream of creating a learning space. 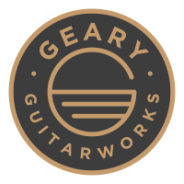 In 2013, a dream came true when I moved to an 800 square ft. industrial loft on Geary Avenue and established Geary Guitarworks..
During his time at GGW, Simon specialized in ukulele building with skill and panache. Elaine brought a steady temperament and a designers insight to our children's instruments.